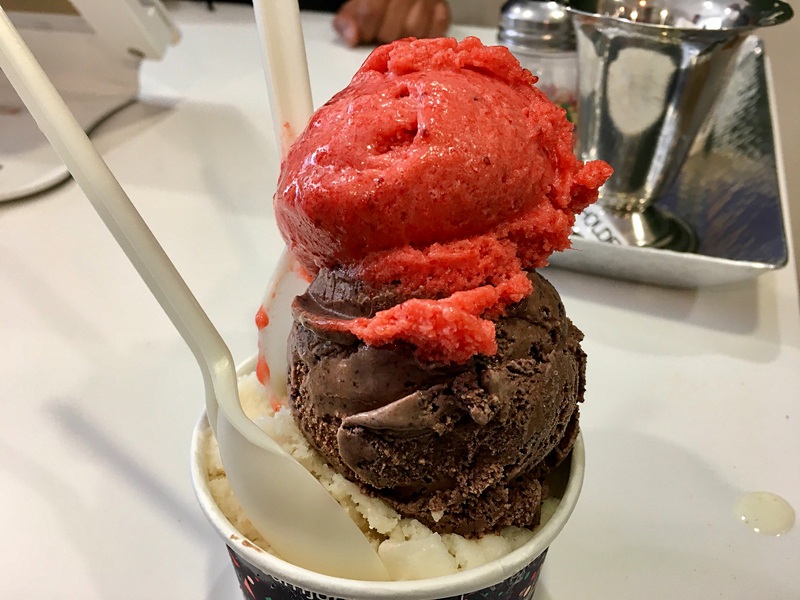 Posted by mrsjoujou in Eating and Drinking by city, Ice Cream Jubilee, Washington D.C.
Ice Cream Jubilee has been on my list of places to try for a while now. After a museum visit, I googled to see how far their locations were. Luckily, one of their locations, the one on the T Street NW, was a 15 minutes drive away. Of course finding a parking in the area was challenging but we lucked out and a guy pulled out of a spot. There was a fairly long line. I sampled a few flavors and settled on two of the flavors we sampled and took a chance on the chocolate. 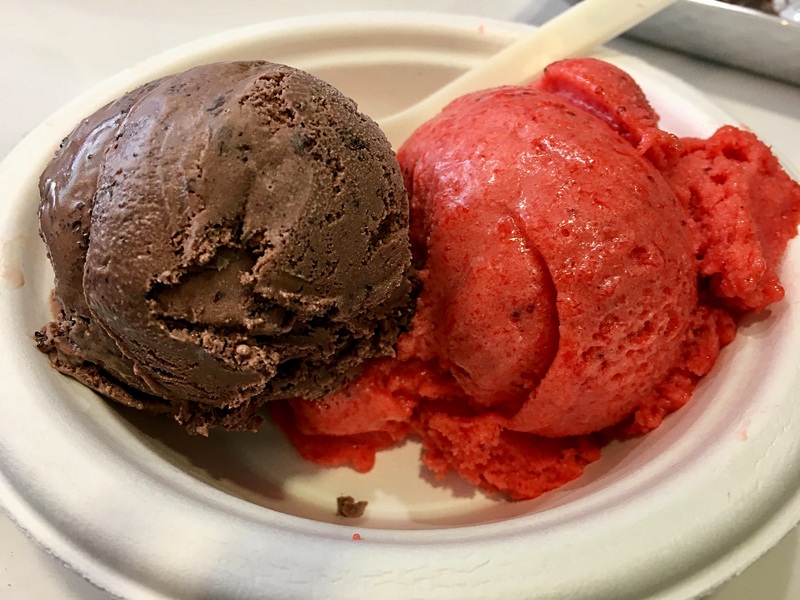 The girl behind the counter put three scoops in such a tiny cup and as I put down the cup on the counter to pay, two of the top scoops fell on the counter. I was shocked and the guy behind the register told me to go get new scoops. Later on he said that they should have never put three scoops in such a small cup. The spicy strawberry had a good strawberry flavor, a nice kick from the ginger and a little tartness from the lemon. Chocolate chocolate was a Valrhona chocolate ice cream and melted chocolate pieces. It was very good and satisfied the chocolate craving. 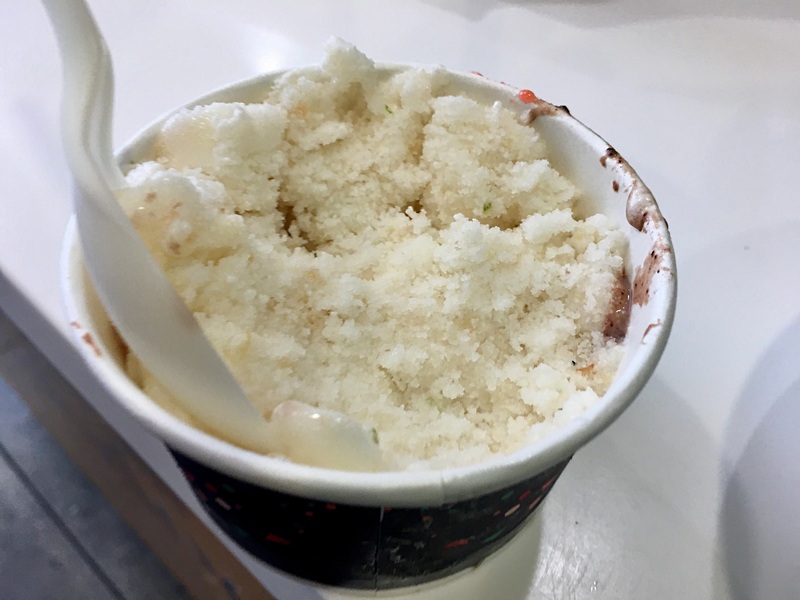 This flavor was very refreshing and had coconut shreds.